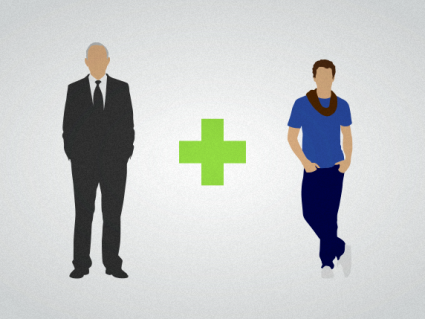 Do Boomers Need Personal Branding, too? Many boomers are resistant to personal branding when they’re job hunting. After all, branding kind of belongs to Gen-X and millennials, right? They’re talking about it, blogging about it, and using it more than Boomers it seems. Does that mean that boomer personal branding doesn’t work as well as Gen-X or millennial branding? Does that mean that the process of defining and communicating your personal brand is different for boomers, than for younger generations? If you believe some of what they have to say about personal branding, you may answer “yes”. I read a lot of articles by young people about branding that miss the point entirely. And, with more people working for many years beyond the traditional retirement age of 65, job search is a fact of life for some, impacting their lives far longer than ever before. Boomer personal branding is really not optional . . . it’s mandatory, if you want to land the kinds of jobs you covet and deserve. And think about this – age discrimination in job search most certainly exists. If you’re over 50, chances are that some of the job seekers competing against you will be younger . . . perhaps by as much as 20-30 years. One way to be on an even par with them is to demonstrate to employers that you’re as up-to-date and savvy as they are. If they’re embracing personal branding in their career marketing materials and job search, shouldn’t you do it too? When you understand what branding truly is, you’ll understand why it knows no age barriers. Personal branding is all about defining, differentiating and positioning the unique value you offer your target employers over those competing against you. 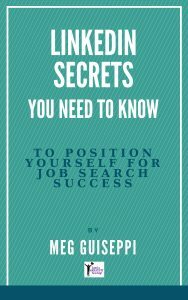 With so many qualified competitors in the job market today, landing a job requires broader knowledge of the job search landscape itself. It requires a better understanding of your own qualifying skill sets, strengths, and personal attributes. More than ever, you need to generate chemistry when you speak and write about the value you offer. And it’s more important than ever to infuse a sense of who you are and how you operate in your supporting materials. So, how do you take advantage of personal branding to position yourself as a best-fit candidate and good hiring choice in today’s job search? 1. 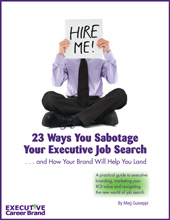 Know what you want and which employers to target. Get clear on what kind of job or work you want, and which companies and organizations will provide you the opportunities you’re looking for. These will be your target employers. 2. Research your target employers. Conduct extensive company and industry research to learn what these employers’ current needs are. 3. How will you help them? 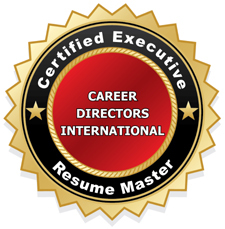 Determine how you are uniquely qualified to help them meet specific current needs. Also, identify which people in those companies you’re going to network with. 5. What makes you a good fit for your target employers? Define what characteristics make up your unique personal brand (values, passions, core strengths, personal attributes, etc.). Back that up by getting feedback from those around you . . . at work, at home, and in the marketplace. 6. Write content that positions you as the right hiring choice. Develop brand-reinforcing content for your personal marketing materials (resume, biography, and other materials) designed to generate chemistry and resonate with your target employers. 7. Build your personal brand online. Move your brand communications materials online to LinkedIn and other social media, and work on building a diverse, vibrant online presence. 8. Get ready for job interviews. Rely on your research and content development to help you prepare to speak intelligently about your brand and promise of value when you interview for jobs. 9. Go strong on purposeful networking. Put your online and offline brand communications to work in all your networking efforts. Work on circumventing the gatekeepers at your target companies. Connect directly with the key hiring decision makers and other employees, where they hang out online and offline. 10. Don’t neglect your network, once you land a job. Once you land a job, don’t forget about your network. 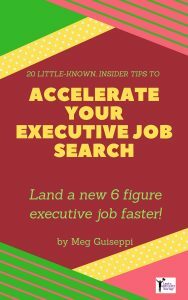 Reach out to them regularly, help them out, and keep your personal brand top-of-mind with them, so you can tap into that support when your next job search happens. 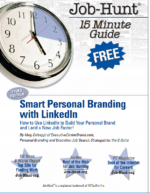 To help you dig deep, check out my personal branding and other job search worksheets.